My card today is a standard A2 size. 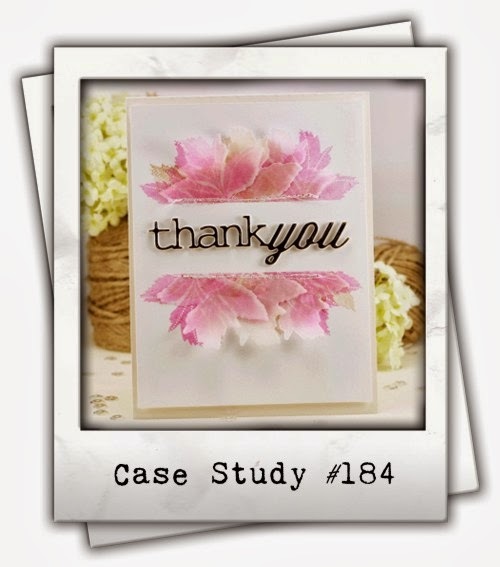 The card base has been stamped and heat embossed with clear embossing powder. The polka dot layer has been created with translucent embossing paste that’s been tinted with a re-inker. Once that was dry, it was stamped with the same background image found on the card base. 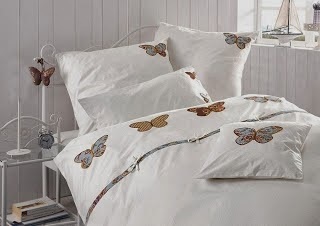 The sweet little butterflies have been die cut and kissed with a Wink of Stella marker…oh how I love that stuff! They’ve each been topped with a clear sequin. The sentiment was stamped on a piece of vellum that’s been distressed just a bit. The center panel was popped up on foam adhesive before adding it to the card base and done! This is gorgeous! I love the background you created with the stencil and clear paste. I bought some but have yet to use it! Need to give it a try soon. Thanks for taking the Time Out to play with us! I LOVE polka dots and you achieved some wonderful ones, Lee-Anne. 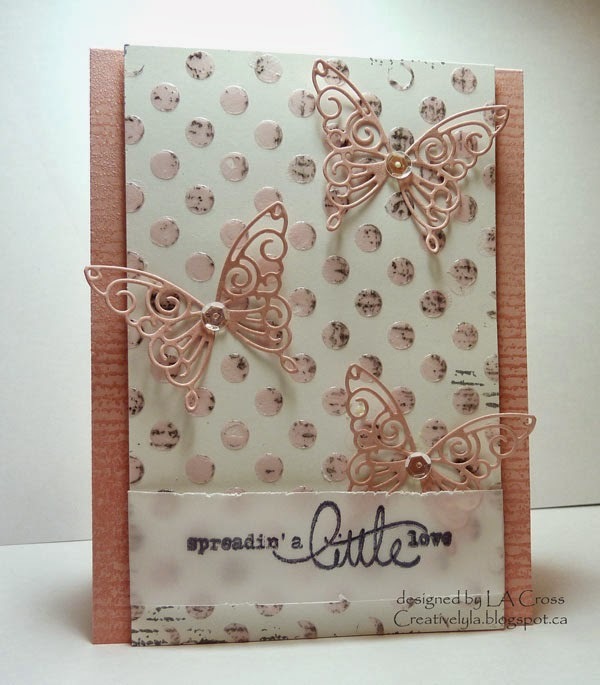 Gorgeous butterflies AND card. Wow Lee-Anne, this is so creative, I love that base and then to ink with the text…inspired!! Gorgeous, Lee-Anne! I really like the BG with stenciled dots and your butterflies are perfect for it with the sequins!! Beautiful! Great how the vellum works on your card! Thank you for taking the Time Out to join us. How beautiful! I love the beautiful background and the creativity of your card. Thanks for taking the TIME OUT and joining our challenge!